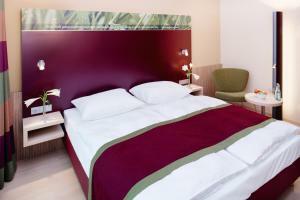 This 4-star hotel offers high-speed Wi-Fi and free use of its top-floor fitness area. 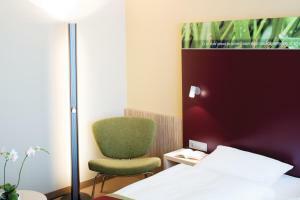 It is located beside the Frankfurt Trade Fair, a 2-minute underground ride from Frankfurt Central Station and opposite Skyline Plaza shopping centre. 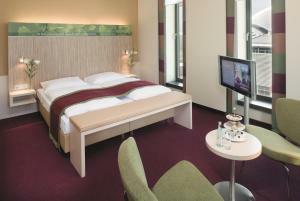 All rooms at the Mövenpick Hotel Frankfurt City include free WiFi access, a laptop safe, a minibar and air conditioning. 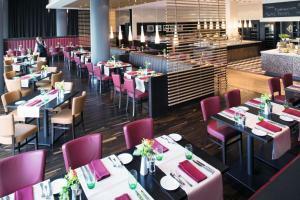 The Mövenpick's restaurant serves international cuisine and has a large open kitchen. 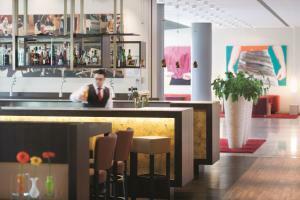 Snacks and drinks are available in the hotel bar all day long. 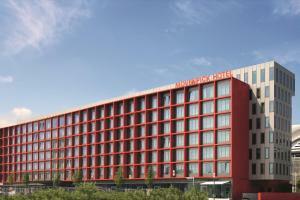 The 130 m² gym includes modern equipment and a terrace with panoramic views of the Frankfurt skyline. TVs are provided beside the fitness machines. 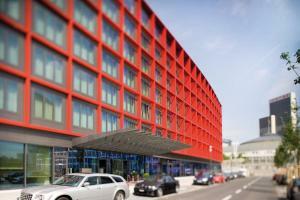 The Festhalle/Messe underground and tram stops are a 5-minute walk from the Mövenpick Hotel Frankfurt City. Frankfurt's Old Town attractions are just 3 tram stops away. 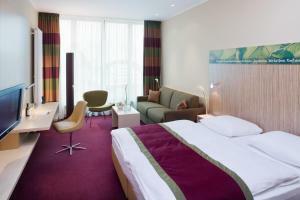 Warmly decorated room featuring a minibar and a private bathroom with a hairdryer. 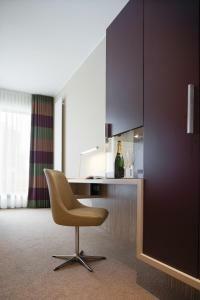 Warmly decorated room featuring a seating area, a minibar, and a private bathroom with a bathrobe and slippers. This rooms offers extra space. 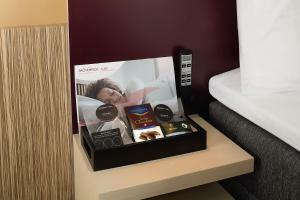 Spacious, warmly decorated suite featuring a living area, a coffee machine, and a complimentary bottle of water. The private bathroom includes a bathtub, a bathrobe and slippers. This family room has a minibar, soundproofing and air conditioning. This family room features air conditioning, soundproofing and minibar. 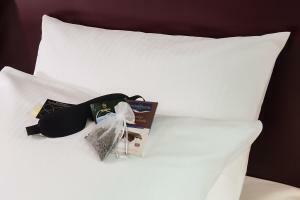 This quietly-located room features an adjustable bed, blackout curtains, herbal tea, fragrance sachets, earplugs and an eye mask.